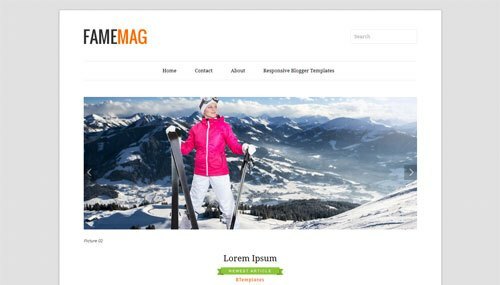 Download 2016 free premium brand Blogger templates for your blogger / blog-spot website. All website templates are free and easy to download and use. If any king of queries then please write in the comment box. Excellent template for blogs about any general topic, art, business, entertainment, fashion, to use as a base to create your own design, music, photography or a personal portfolio site. I am always ready to help you. 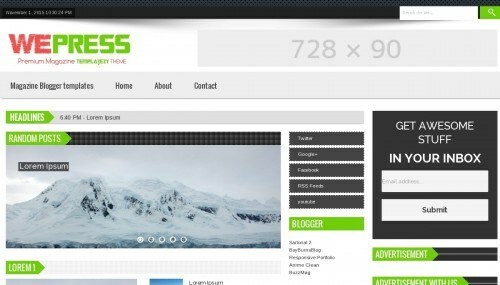 WePress is a free premium blogger template adapted from WordPress with 3 columns, responsive design, magazine-styled, right sidebar, gallery-styled, an exclusive design for Blogger, ads ready, footer columns, slider, social bookmarking icons, posts thumbnails, tabs, breadcrumbs, pagination, a background pattern, related posts support, well designed threaded comments and 404 error page customized.Excellent template for blogs about any general topic, business, entertainment, games, movies, news or photography. 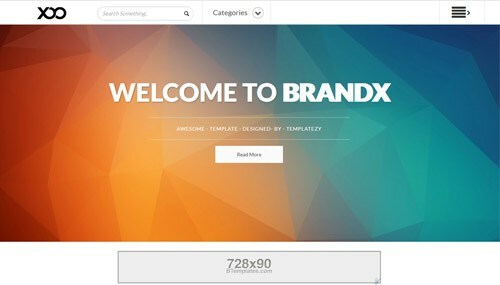 BrandX is a free premium blogger template with 2 columns, responsive design, right sidebar, gallery-styled, fresh look, an exclusive design for Blogger, ads ready, footer columns, social bookmarking icons, posts thumbnails, drop down menu, breadcrumbs, a background pattern, related posts support, well designed threaded comments, abstract and 3D effect.Excellent template for blogs about business, photography or a personal portfolio site. FameMag is a free premium blogger template with 1 column, responsive design, right sidebar, minimalist, an exclusive design for Blogger, slider, social bookmarking icons, drop down menu, well designed threaded comments, simple look and tumblr style.Excellent template for blogs about any general topic, art, business, to write a diary, news, photography, a personal portfolio site, sports or travel. Oreki Houtarou is a free premium blogger template with 2 columns, responsive design, seo friendly, right sidebar, gallery-styled, an exclusive design for Blogger, footer columns, posts thumbnails, drop down menu, breadcrumbs, pagination, emoticons, well designed threaded comments, 404 error page customized, 3D effect and neutral colors. 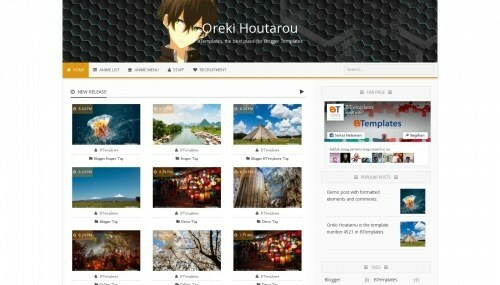 Excellent template for blogs about anime, games or kids.Download Oreki Houtarou for free in BTemplates. 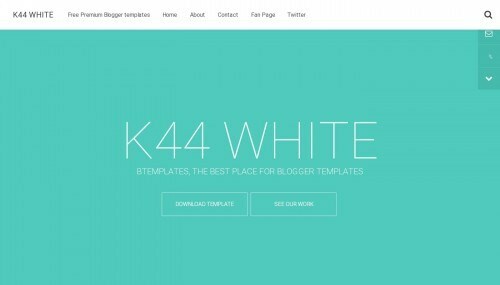 K44 White is a free premium blogger template with 1 column, responsive design, magazine-styled, right sidebar, gallery-styled, fresh look, an exclusive design for Blogger, footer columns, slider, social bookmarking icons, related posts support, well designed threaded comments and 404 error page customized.Excellent template for blogs about any general topic, art, business, entertainment, fashion, to use as a base to create your own design, music, photography or a personal portfolio site. All these templates supports Blogspot.com. If any kind of queries the please comment in box.